The Hennessy Artistry video is now in the works! 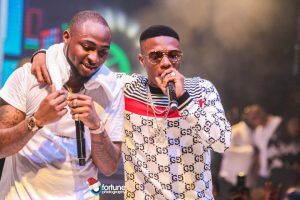 This year’s headliners, 2face Idibia and Wizkid have shot the video for the much talked about Hennessy Artistry theme track, “Dance Go”. The video shoot which held at the popular Koga studios was directed by fast-rising music video director, Kemi Adetiba and featured exciting cameo performances from DJ Caise, Shaydee and EFA.